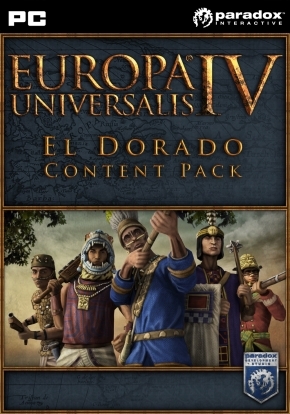 Europa Universalis IV: El Dorado Content Pack includes two new sets of units and set content to complement the expansion of El Dorado. - Adds twelve models of units for the nations of South America and the Andes, including the Inca, Mapuche and tupinambov. - Adds Twelve new models for units Mesoamerican nations, including the Aztecs, Maya and Mixtec. - A set of music includes five new songs, writing the author of which was inspired by the era of the study. New songs will be played in the time of peace when the colonies are established in novoizuchennyh lands.